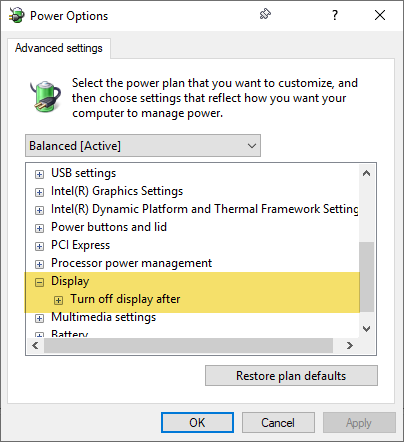 Windows 10 1809 is missing most Display settings under the Advanced setting in Power Options. Options like dim display, adaptive brightness, etc are all gone after 1809. I've tested on a clean install and an upgrade... same. What's frustrating is Windows enables adaptive brightness by default and does not give you an easy method to disable it. I can use the powercfg cmd to disable adaptive brightness, but is a convoluted workaround to the issue.